Smuggler's Notch State Park. Vermont. 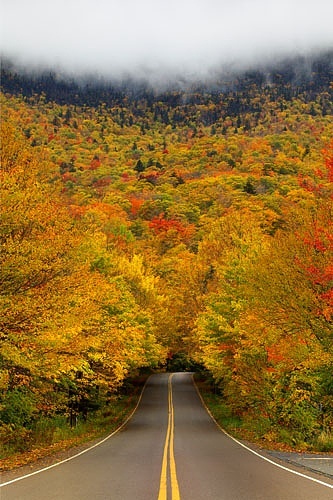 Smugglers' Notch State Park is a Vermont state park near Stowe in Lamoille County, Vermont in the United States. The park is at an elevation of 2,119 feet near Mount Mansfield, and is named for Smugglers Notch, which separates Mount Mansfield—the highest peak of the Green Mountains—from Spruce Peak and the Sterling Range.